In 2012 Kathryn fell in love with India, the culture, the people, the cause! Board certified in internal medicine, medical oncology, and radiation oncology, Kathryn earned her MD at St. Louis University. After settling in Florida, she earned an MBA through the University of Miami and established the Center for Radiation Oncology, which grew to five treatment centers in the Tampa Bay area. Now semi-retired, Kathryn has reduced her practice to one center, so she can broaden her focus and help the medically underserved. It was “love at first sight” when Kathryn was introduced to the people of Tamil Nadu in 2012. Drawn by the natural warmth and sincerity of the villagers, Kathryn saw the need for basic healthcare in their rural communities, and she admired the selfless sisters of Holy Cross Hospital who were struggling to meet that need. This was a cause that Kathryn could gladly serve! Inspired to do more, she took a course in global medicine and founded Project Starfish, Inc., the not-for-profit corporation that has been supporting her efforts since 2014. She has traveled to India ten times in the last five years and has mobilized dozens of volunteers to participate in her clinics, provide administrative support, or raise funding for the cause. Kathryn has been active in many non-profits. She is a lifetime member of the American Cancer Society and a major sponsor of the Pink Dragon Ladies, Florida’s first dragon boat team of cancer survivors. Her avocations are eclectic – ranging from her Harley Davidson motorcycles to her vast art collection. But Kathryn is quick to add that, despite her love of motorcycles and India, she refuses to ride a motorcycle there! Kim retired in 2017 after a 32-year career with the not-for-profit Inova Health System in Northern Virginia. She was Director of Telecommunications for the five-hospital system. In that capacity, she selected and implemented communication systems, trained staff, and managed all personnel. Additionally, she was part of many system-wide initiatives and special projects. She graduated in 1981 with a degree from Radford University and has completed course work in management policy and practices as well as grant writing. Kim and her two grown sons, Christopher and Brian, participate with various animal rescue groups in the Washington, D.C. area. She supports services for the homeless through her involvement with the Hypothermia Clinic, and she is a member of the board of St. John’s Community Services that serves people with disabilities. "Through various life experiences I have learned that not everyone has been as fortunate as I have been to have the basics of education, clean water, healthcare and a place to always call home. I feel a commitment and obligation to give back to those without. My first trip with Project Starfish taught me so much about the people of India and the healthcare challenges they face. I was struck by their passion for life, their warm smiles and big hearts." 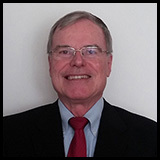 Patrick has 37 years of experience in public and private accounting, auditing, and taxation. He has a BS in Accounting from California State University, Los Angeles and an MBA from the University of Southern California. He is happily married with six children and 11 grandchildren. Patrick volunteers with marriage enrichments, therapy dogs, and elder fall prevention. He enjoys walking, gardening, traveling, and spending time with friends. Maria’s early nursing career specialized in the fields of AIDS and home health. 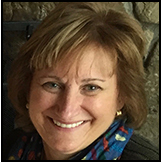 As an Oncology Certified Nurse, she became a home health infusion specialist and instructor, and went on to work as a nursing manager and director of nursing for 16 years. After earning her MSN in Nurse Education in 2009, Maria worked as an LPN educator until the arrival of her adopted infant son. She now focuses her time on being a full-time mom. Giving back to her community as a volunteer has been part of Maria’s life since she was an 11- year-old living in Guatemala. She volunteered at her church to feed the needy and translate sponsor letters for children. As a new nurse, Maria went to Nicaragua on a mission trip and helped to set up seven clinics for indigenous mountain villagers who had no access to health care—sowing the seed for her later involvement with Project Starfish. Maria believes that medical missions like these make a tremendous difference. Her passion for the cause and her professional experience provide valuable assistance with the operations and logistics of Project Starfish. 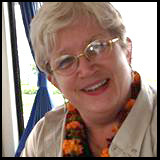 Mary Ann has extensive experience in the non-profit sector. In addition to working as a pediatric hematology/oncology social worker, Mary Ann served as executive director of the Children’s Cancer Center from 1993 to 2009. In 2009 she founded the 1 Voice Foundation to support the needs of pediatric cancer patients and their families. In her capacity as its executive director, Mary Ann is in the process of establishing the 1 Voice Academy, the first school in the United States for children with cancer. In addition, she is a spokesperson on bleeding disorders for the pharmaceutical company CSL Behring. Mary Ann’s career path has been inspired by and dedicated to the memory of Jay, the 9-year-old son she lost to non-Hodgkin’s lymphoma. Her professional skills include program development, support groups facilitation, strategic planning, board development, fundraiser/grant writing, and volunteer management. Born in Buffalo, Mary Ann was raised in the Boston area, and has lived in Brandon for 30 years. She is very proud of her daughter Kathleen who has a degree in sports administration for FSU and who now works for the Chicago Blackhawks. 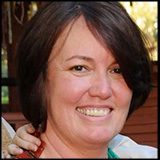 Mary Ann enjoys marathon running, yoga, swimming and travel. 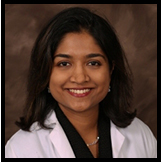 Subha is currently Medical Director of Suncoast Community Health Centers, Inc. in the Tampa Bay area. 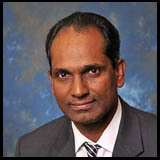 He graduated from the Andhrea Medical College in India and completed his residency in Family Medicine from 1990-1993 at the Catholic Medical Center in New York (an affiliate of Cornell Medical Center). In July 1993, he joined Suncoast Community Health Centers as a staff physician in Ruskin and “climbed the ladder” to Medical Director as the organization grew—and he continues to practice clinical medicine. 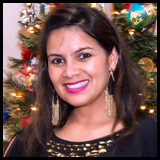 Subha also teaches in the Department of Family Medicine at the University of South Florida (USF). In that capacity he has been selected as Teacher of the Year, Preceptor of the Year and Most Involved Community Preceptor of the Year. Subha is married with two children who are both physicians. 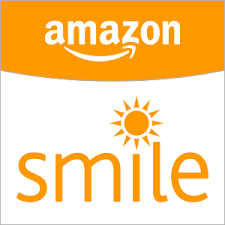 In addition, he supports non-profit organizations in India with his time and financial support. Dipa is a business lawyer in solo practice who consults and advises executives in legal matters relating to the governance and operations of their businesses. 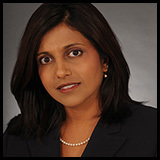 In addition, Dipa has experience in health care professionals and educational institutions, and provides them a wealth of legal and business experience and insight for the challenges they face at the intersection of business and health care; she is on the St. Joseph's Hospital Board of Directors. Dipa received her J.D. from Widener University School of Law and her B.A. from Temple University. Dipa also has a passion and commitment to education and has experience in education policy and educational administration and management. 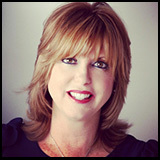 She serves as the Chair of the Hillsborough Community College Board of Directors. Poonam is from Northern India and was born in Uttaranchal. She received her RN at RML Hospital School of Nursing in New Delhi. She came to the US in 2007 and currently works at WellCare as a Nurse Case Manager. Poonam is married and has two school-age children—a daughter and a son. She enjoys spending time with family and friends, cooking Indian food, organizing events for social gatherings, and exploring new places. And clearly, she is passionate about “helping people and meeting new people.” Poonam started the Facebook group “Indian Girls in Tampa” so that girls and women can make new friends, share experiences and ideas, help each other, and welcome new girls when they move to Tampa. The group currently has over 2,500 members! 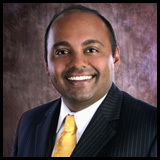 Narayan was born in Southern India and immigrated to the United States with his family when he was a child. But he never lost his passion for the culture, people, and the spirit of his home country. He is board certified in Diagnostic Radiology and has additional certification in Neuroradiology from the Brigham and Women’s Hospital/Harvard Medical School. He is employed by Radiology and Imaging Specialists which serves the Hillsborough and Polk county communities of Florida. Narayan enjoys making and listening to music (from Bollywood, Hollywood, and Tollywood), playing basketball and tennis, and spending time with his wife and three young children. He is fluent in Tamil and Malyalam. He hopes to utilize his expertise to improve the quality of medicine at home and abroad. Arthi graduated from Madras Medical College, Tamil Nadu, India. She completed her residency in Internal Medicine at the University of Nebraska, and her Gastrointestinal Fellowship at the Medical College of Wisconsin. She then completed an advanced fellowship in Therapeutic Endoscopy at the University of Minnesota. Prior to joining the Florida Hospital Tampa, she worked in academic gastroenterology at Virginia Commonwealth University (four years) and the University of South Florida (three years). She is currently a consultant gastroenterologist at Florida Hospital Tampa, specializing in GI Oncology, Therapeutic Endoscopy, and Motility.